After a day spent under the knife, John Danks was declared to be a successful recipient of shoulder surgery. But since that's a blanket description, the details are that Danks underwent a successful procedure to "repair a capsular tear and minor debridements of the rotator cuff and biceps in his left shoulder." On the strength of that work, he is projected to be ready for Spring Training 2013. That seems like a bold thing to declare in the immediate wake, but it's based off surgeons finding a completely healthy labrum, rather than a Herm Schneider I.O.U. note. Ventura referred to the damage that the surgeons found as "normal pitcher's stuff." Pitching is hell on your body, in case you were wondering. Sale, Danks, ?? ?, ?? ?, Quintana. Sale, ?? ?, Quintana, ?? ?, ??? 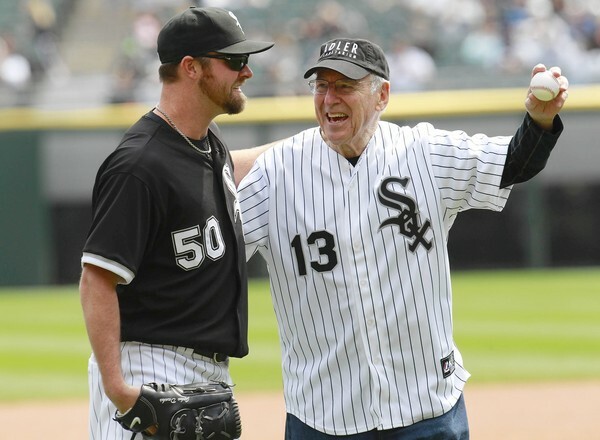 Danks will be in a sling for four weeks, which--I don't know about you--seems like more than enough time to learn how to pitch right-handed, but the Sox are understandably playing it safe. All in all, this is as good of news as could have been hoped for. Or, since a season-ending surgery was already the worst-case scenario, this is the end of bad news. Danks' recovery solidifies one roster spot for the 2013 Sox, but between Floyd, Peavy, and Youkilis, they have a lot of option year decisions floating their way. Nick Cafardo of the Boston Globe--he's out of town, but is the man who brought you the Brandon Beachy for Carlos Quentin trade rumor--reports that the White Sox have no intention of picking up Youkilis $13 million option. The indication is that the Sox just see Youkilis as a rental, since he's only truly a steal when he's playing for $2 million. But with the final stretch, possibly the post-season, and the opportunity to negotiate a new arrangement lying ahead, this doesn't seem really definitive, even for a rumor. Meanwhile, Brent Morel is doing everything possible to convince the Sox that the position will be unstable in Youkilis' absence. De Aza is a late scratch for Monday's game, due to back stiffness. That's troubling. Alejandro is tied for 5th in the AL with 69 runs scored. Francisco Liriano's bruise is "nasty"
Yet he is still expected to make his next start. The seventh starter is back in place, ready and waiting. I feel safer, don't you?